On the morning of April 27, 2018, Party Secretary Wang Zhimin of CCPIT Sichuan Council Met with Luo Minling, President for China Office of Council for Trade and Investment Promotion (CTIP). President Luo Minling expressed gratitude for the Secretary’s warm reception, and then gave a brief introduction to the basic information of CTIP and Newark in New Jersey. 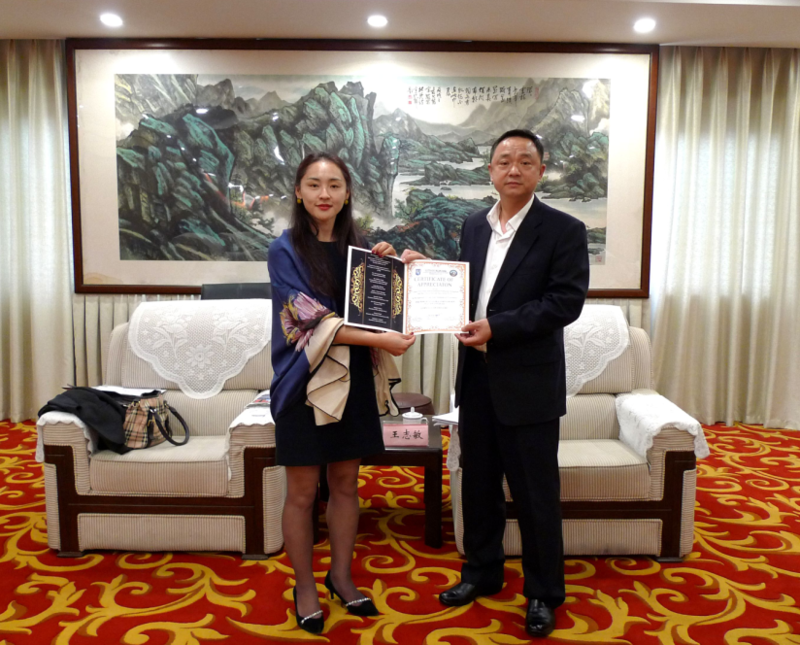 In the future, she hopes to sign a Memorandum of Understanding with CCPIT Sichuan Council, organize delegation visits between each other and co-host economic and trade activities to deepen exchanges and cooperation in various fields between Sichuan and New Jersey. Secretary Wang Zhimin extended his warm welcome to President Luo Minling's visit. He said that with a solid industrial foundation in science and technology, electronic telecommunication, biotechnology, pharmaceutical and other fields, the State of New Jersey and the Newark City are highly complementary with Sichuan in the economic field and offer extensive cooperation opportunities and prospects. CCPIT Sichuan Council will take the initiative to boost the role of the platform and take the opportunity of signing a Memorandum of Understanding in the future to establish information sharing mechanism and communication mechanism, aiming to help small and medium enterprises in Sichuan to expand the US market. Short-distance sea transportation in the Atlantic Ocean and Sino-Europe Railway are adopted to connect the Port of Elizabeth in Newark and Chengdu, the hub of Sino-Europe Railway in Sichuan and further minimize time and cost of international logistics. Through organizing various forms of activities including delegations, exhibitions and meetings, CCPIT Sichuan Council and CTIP will jointly advance exchanges and cooperation between Sichuan and the US, especially between Sichuan and New Jersey in science and technology, economy, culture, trade, etc. With a foothold on the present, we are looking forward to future cooperation. Responsible person of the International Cooperation Department and relevant personnel of the Exhibition Department attended the event.